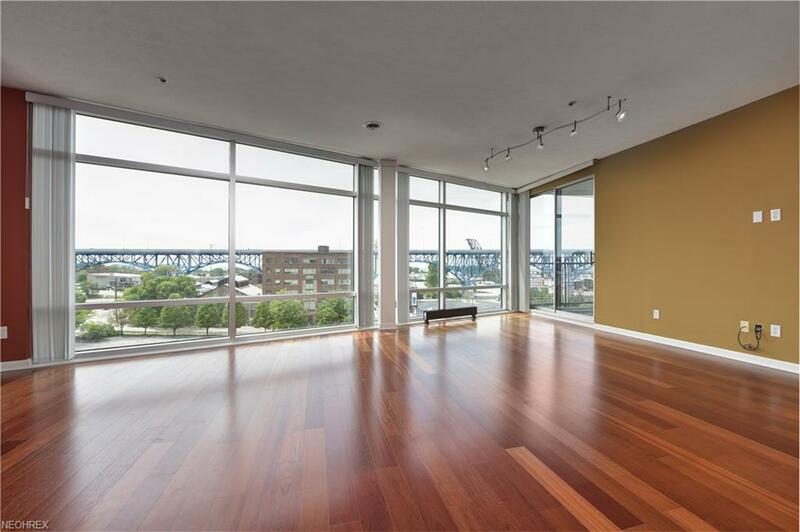 Upgrade your lifestyle in this contemporary condo with direct views of Lake Erie! Take in the dazzling sites of the water and City from your floor-to-ceiling windows and your very own private balcony. 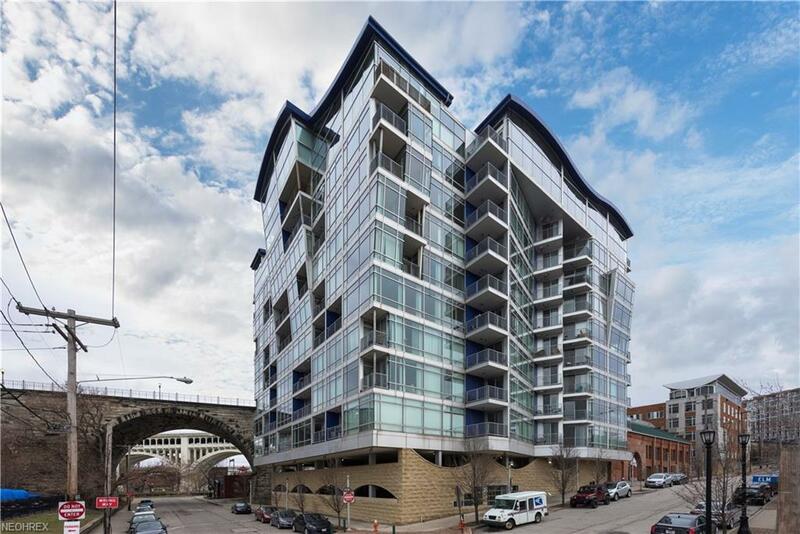 Located directly across from the booming East Bank of the Flats, this modern building is set in a prime location next to bustling Ohio City, and just across the bridge from all of the hotspots in downtown Cleveland. 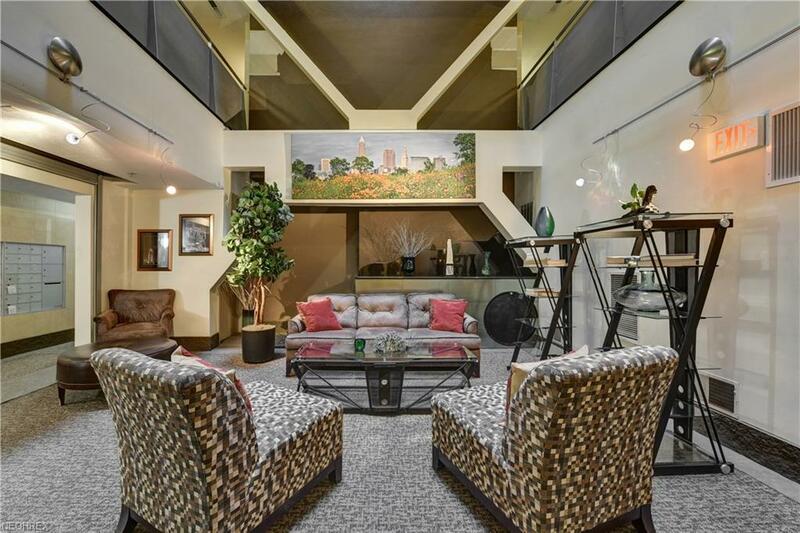 This 2-bedroom, 2-bath condominium comes with an attached garage parking space. It has been recently updated with brand new carpeting in the master bedroom! You'll love it's sleek flooring in the main living area, in-suite laundry, and modern lighting throughout. The kitchen features granite countertops, beautiful cabinets, and stainless appliances. The bathrooms offer a large walk-in shower and large soaking tub, perfect for relaxing. 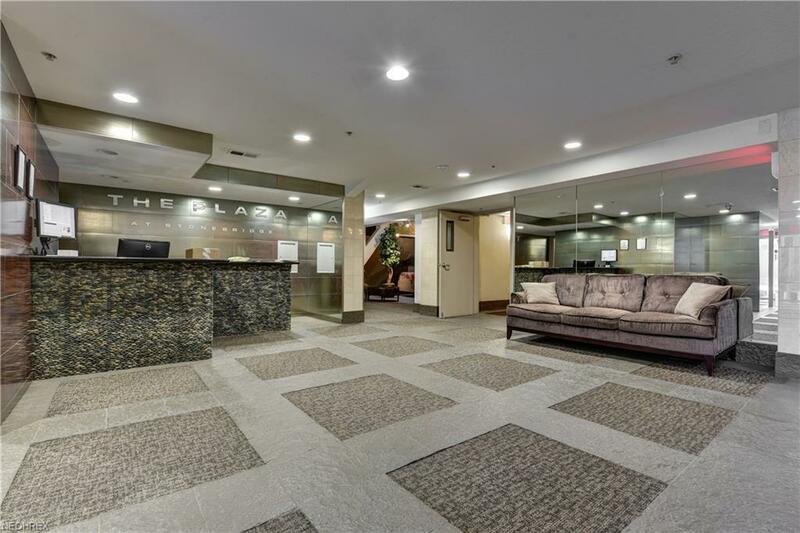 The building has on-site Concierge and security staff, secure access, meticulously-maintained lobby & common areas, fantastic workout room, and a viaduct off of the 8th floor with chairs & grills to hang out. Low-maintenance, move-in ready opportunity in the fun City of Cleveland!